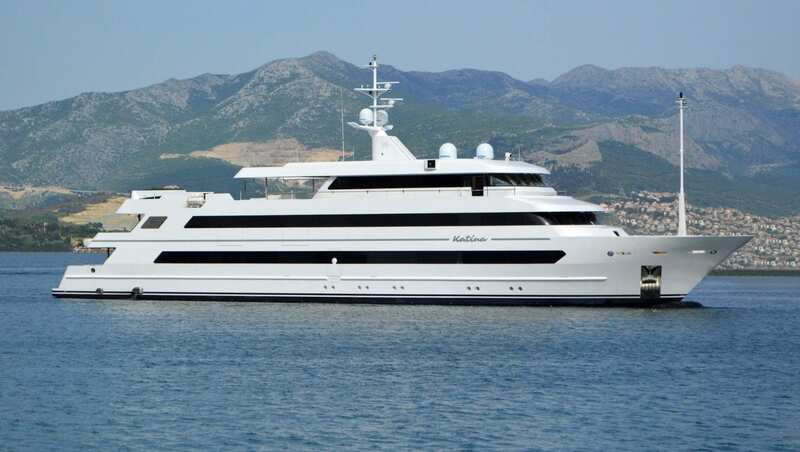 Built by Brodosplit shipyard KATINA has been designed to be one of the most exclusive motor yachts available for charter in Croatia at all. 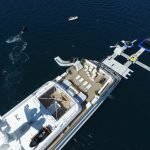 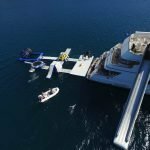 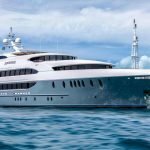 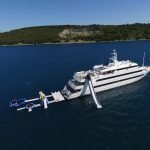 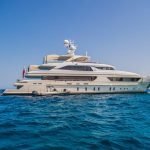 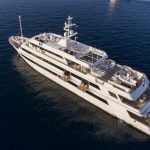 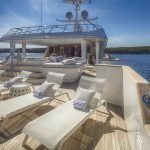 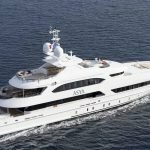 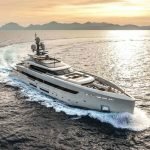 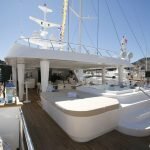 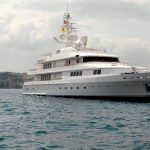 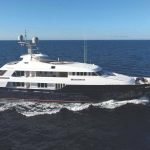 She was designed with charter in mind, offering flexible accommodation and spacious entertaining areas, perfect for either families wanting to unwind or corporate charters looking for large spaces to host cocktail parties. 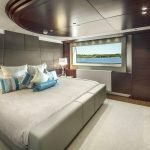 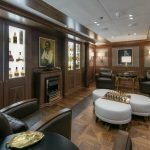 The welcoming interior has been created by the pen of designer Ali Getz and is characterized by a welcoming combination of dark and light patterns, with woods in satin finished oak and high gloss walnut and plush fabrics with cream neutral tones of leather. 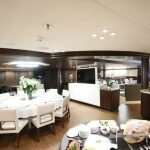 All reflected in the large saloon being a perfect round social area for relaxation and the ultimate chill spot below deck, it features also a cocktail bar and adjacent dining room accommodating up to 12 guests comfortably. 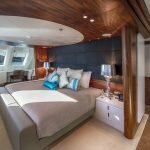 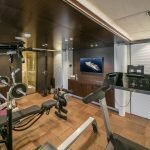 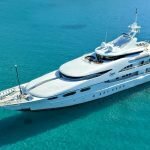 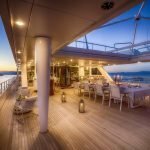 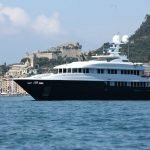 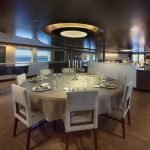 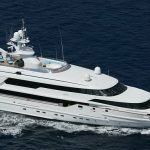 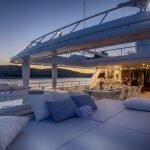 Accommodating up to 12 guest in spacious luxurious cabins she will have 10 crew members on board to pamper the needs of most demanding charter guests on the Adriatic. 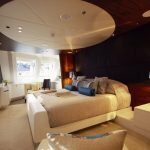 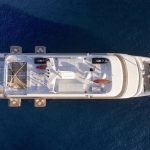 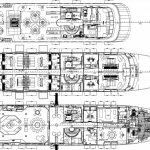 There are 6 large convertible staterooms, all of which can be set up as either king double or twin rooms. 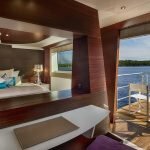 The 2 VIP cabins forward have large bathrooms with both bath and shower, whilst the 4 guest cabins aft have generous bathrooms with showers. 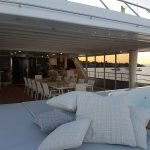 The 4 guest cabins aft also have fold-down balconies – the perfect place to enjoy a relaxing morning coffee or an evening cocktail watching the sun set. 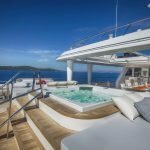 Superb volume, wonderful entertaining areas and top notch crew ensure every charter will be a perfect mix of luxury and fun.